Candace Cameron Bure is one of TV’s busiest performers. In addition to her role as D.J. Tanner on Netflix’s Fuller House, she’s working constantly for the Hallmark Channel, starring in movies and producing an upcoming holiday project. TV Insider caught up with the actress/producer/author at Hallmark’s summer party for TV critics to chat with her about a host of topics including her time on ABC’s Dancing With the Stars and The View. 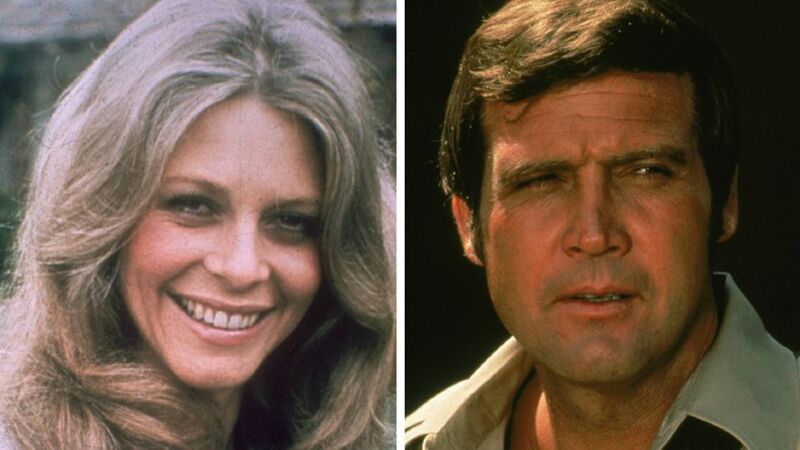 Lee Majors and Lindsay Wagner will guest star on the popular show. What’s going on with you at Hallmark? Candace Cameron Bure: I have a new mystery coming out in August Last Scene Alive: An Aurora Teagarden Mystery. I’m also a producing a Christmas special for Hallmark called Christmas in America, which highlights how people celebrate Christmas. It’s got some heartwarming stories. There will be some other movies, too. I’m doing with them a lot with them. What’s up with Fuller House? We’re shooting now. We just passed our midseason point. We have half of our episodes left and everything’s going well. They drop all at once now and will probably again in December. We’re nominated for an Emmy for Outstanding Children’s Program, which is like, huge news for us. Shows dropping entire seasons all at once is relatively new; what are the pros and cons to that? In the beginning, being more of a traditionalist, I felt, oh, this doesn’t leave any suspense. You gotta wait for it and want it, but now I love it. I have limited times, as do a lot of people, to watch programs. Now, I think hey, I can watch two or three episodes in a row. I really enjoy that. What works really great about everything dropping at the same time is you can see shows at your leisure. What can we expect in the upcoming season? This season really focuses son Kimmy (Andrea Barber) being pregnant. She’s a surrogate for Stephanie (Jodie Sweetin) and Jimmy’s (Adam Hagenbuch) baby. We go through the pregnancy this season. I get a solid relationship with Steve (Scott Weinger), which is nice. D.J. is not flip-flopping between two guys. There are some really good parenting episodes with the kids. That’s what I love the most. But I think I’ve already filmed my episode of the season so far which has a La La Land-esque dance number that D.J. and Steve do. We did it on the backlot of Warner Bros. right where they filmed the movie. Being on Dancing With the Stars helped. You came in third on DWTS – no easy feat! What are your memories of being on that show and your pro partner Mark Ballas? I remember pushing myself out of my comfort zone. I remember laughing with Mark so hard and I remember hating Mark at moments, wanting to throw up before every shown night. I have the best memories because I was so proud of myself for getting through and getting all the way to the end. It was one of the best experience of my life. It changed me from the inside out. If you asked me to do it all over again I’m not sure I would even though I’m proud of myself for having done it. You co-hosted The View for a few years. Do you ever check it out? Do you miss being on the show? No. I don’t miss the schedule because I was commuting between New York and Los Angeles. And I don’t miss the anxiety I felt before every show. Depending on what the current events were, things could be stressful. I’m glad that with everything that’s going on politically right now that I’m not sitting at that table. I think I’d lose my mind if I had to talk about it every day. Well, yes. Even if they don’t agree. Kind, and have civil discourse and respectful conversation? That’s all in my book Kind is the New Classy, which came out in April. That’s what it’s all about and I talk about The View in it. I was prompted to write the book after being on The View and trying to promote civil discourse, to have conversations about bringing the emphasis back on kindness.